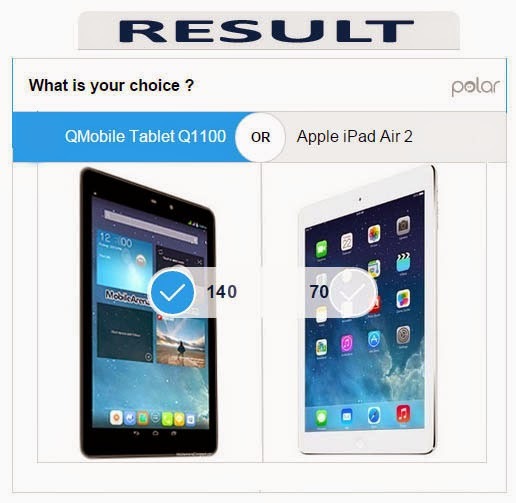 Here we have seen astonishing results , when we organized a competition between QMobile's 10.1 inches tablet Q1100 against Apple's new slate named as iPad Air 2. 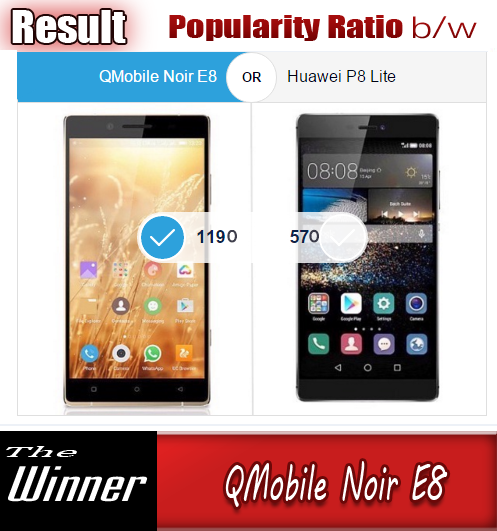 Most of the our voters are belong to Pakistan and we think they are now in love with their home based company QMobile and want to use and promote its products. One of the reason of winning of Qtab is its Pakistani manufacture and the second is probably the moderate price of this tab. Whereas Apple iPad has an exorbitant price tag. No doubt Apple iPad is superior than QTab in terms of design, build material and processing speed but the main thing that creates difference is the operating system here. QTab runs on Android whereas the OS on which iPad runs is Apple's home baked iOS. So it is possible that the preference for operating system might have become a reason for victory of Qtab in this competition.